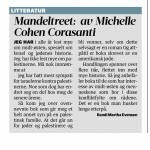 You probably do not recognize the name Michelle Cohen Corasanti, but you will. She is the author of a consequential book that will force us to look at the tragic Palestinian Israeli conflict in much the same way that Solzshenitzyn’s One Day in the Life of Ivan Denisovich compelled us to examine the harsh realities of Soviet labor camps. The name itself sends a tickling sensation down the spine. After completing the whole book I can very easily say this is the best possible name for this piece of art. 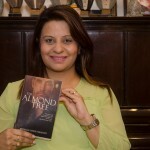 The role the tree has conveyed in this book makes the name perfect. 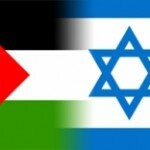 My hope is that one day heads of state from around the globe will actually say to Michelle Cohen Corasanti, “You are the woman who, when you made us look through the eyes of Ichmad Hamid, Menachem Sharon and Abbas Hamid, of Nora,Justice and Zoher, of Baba and Yasmine, of Amal and Sara, effectively argued for peace. Professor Samir Abu-AbsiProfessor Emeritus of English at the University of Toledo. 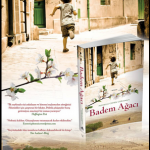 Writer and editor, American Arabs in Toledo Samir Abu-Absi (B.A. in English from The American University of Beirut, M.A. 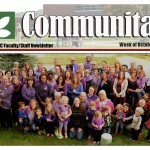 & Ph.D. in Linguistics from Indiana University) is Professor Emeritus of English. He has taught language and linguistics courses that include Linguistic Principles, History of the English Language, Phonology, Applied Linguistics, and Arabic. His research interests include ESL, Language Policy and Planning, Arabic Structure, and the relationship between Language and Culture. 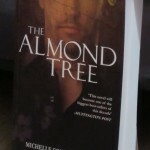 The Almond Tree was an amazing read. It’s moving. It’s interesting. And it’s engrossing. I totally agree with The Huffington Post that “This novel will become one of the biggest bestsellers of the decade.” And it should be. I’m eagerly waiting for the author’s next book. An awesome debut by any standards, this is a story that would resonate with the reader no matter where he is from. Michelle Corasanti’s debut novel brings to us a heart rending story of courage and resilience. 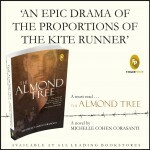 The Almond Tree is undoubtedly one of the best books I’ve read this year. I feel that she brings a touch of gentleness and compassion in her stories which leaves the reader with an ache in the heart.